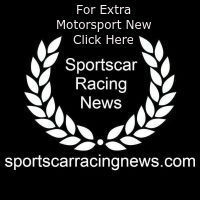 Motorbase Performance got its 2018 Porsche Carrera Cup campaign off to a points-scoring start at the weekend, with new-comer Dan Vaughan securing two hard-fought points’ finishes on the Brands Hatch Indy circuit (April 7/8). After a three-year sabbatical from competitive racing, Carrera Cup debutant Vaughan impressed early on during the free practice and qualifying sessions, with the 21-year-old’s pace netting P8 overall and 2nd in the Pro-Am class for the first race of the season – just 0.141s off the class pole position lap time. 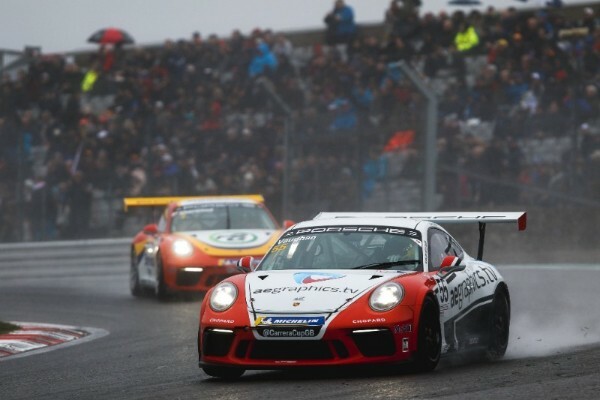 Faced with tricky wet conditions for Sunday’s opening race, Vaughan struggled to find traction off the line and the #55 911 GT3 Cup car got bogged down at the start, dropping back to 7th in class. A strong fight-back however saw the rookie pull back to 3rd and into contention for a maiden podium. Unfortunately a lock-up as the pack come through Paddock Hill put paid to Vaughan’s rostrum challenge, and he did well to come back through to take 4th in class at the flag (9th overall). Race 2 was frenetic affair, and with two lengthy safety car periods curtailing the racing the shortened race was eventually red-flagged after 25 laps. After another sluggish start, Vaughan showed great race-craft as he made his way back up the grid until contact from Sherwood – as the pair raced side by side – knocked the #55 car into a spin and all the way to the back of the grid. Showing terrific determination, Vaughan re-joined the race, but was regrettably caught out by the first safety car. After making his way up through the order after the restart, the A E Graphics-backed racer’s efforts were repaid with a 5th place Pro-Am at the red flag, ending the abridged race in P13 overall. Having scored points in both opening weekend races, Motorbase Performance and Dan Vaughan head to Donington Park in high spirits for rounds 3 and 4 on April 28/29. The weekend’s results see Vaughan sitting in 4th place in the Pro-Am Championship standings, tied on points with 3rd place sitter, Hawkey. “Dan had a baptism of fire at the weekend, but for his first outing in the Carrera Cup he did exceptionally well. He made a small mistake on the start of race 1, but if you piece together all that he did over the weekend and how he pulled his way back through the grid, when it all comes together he’s going to be one very quick driver. “A bit of a mixed weekend overall. I was really happy with our qualifying performance and a little frustrated that we couldn’t convert that into a podium, but it was a solid start to our campaign.